Back in NOVEMBER, I had a friend ask me to design a party package for her daughter’s second birthday party. 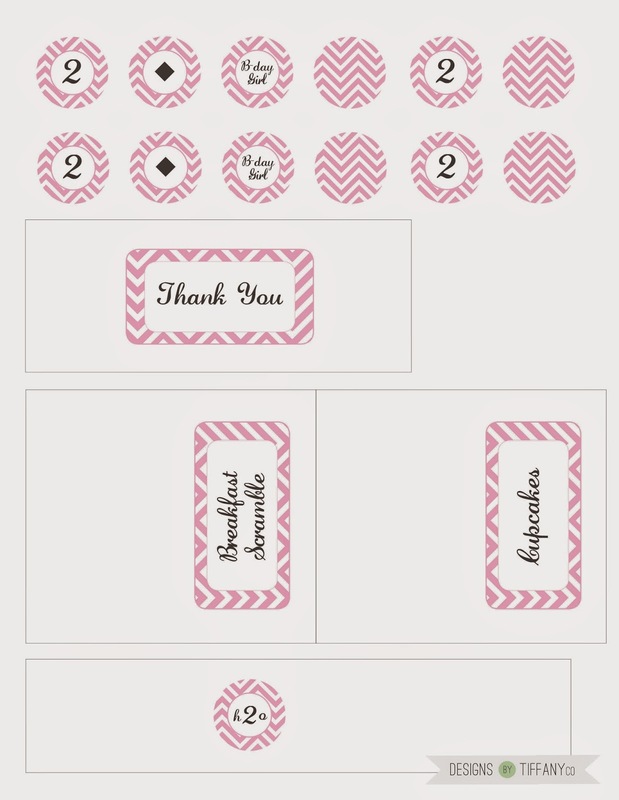 She was easy and laid back, but just wanted it to be pink and she loves chevron. Here’s the invitation I did along with cupcake toppers, water bottle wrappers, and a a few food signs. She had a waffle bar for the food and handed out Hershey bars as the favors.